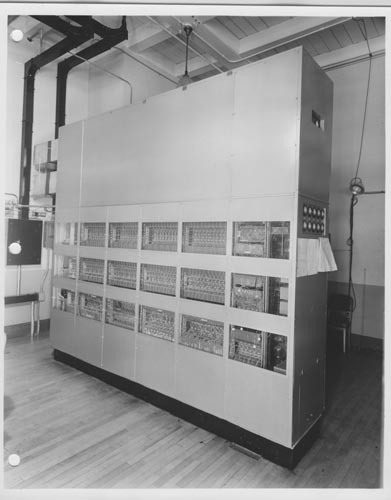 B&W image of ORDVAC main frame with covers . To the left are switch panels and other wiring. Large black rectangular pipes are running overhead. The right end of the main frame has two rows of meters with paper sheets below. The right rear wall has a spotlight.